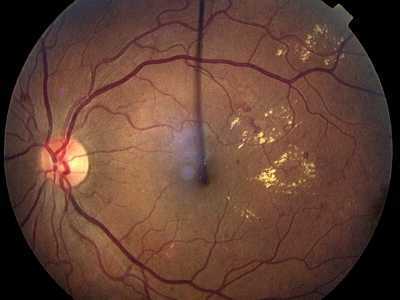 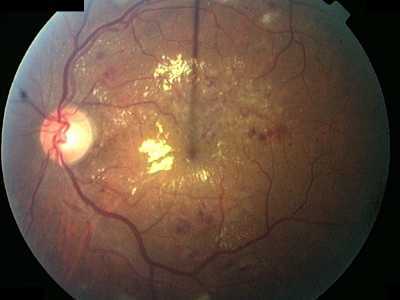 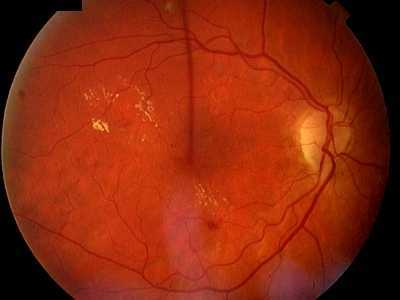 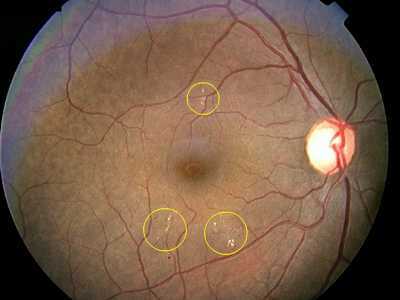 Hard exudates are largely made up of extracellular lipid which has leaked from abnormal retinal capillaries, hence there is often associated retinal oedema (which is not visible using direct ophthalmoscopy). The underlying problem is often apparent as the exudates will form a ring or ‘circinate’ pattern around the leaking vessels (which may be seen as a cluster of microaneurysms). Hard exudates are found principally in the macular region and as the lipids coalesce and extend into the central macula (fovea), vision can be severely compromised.